Bald Head Island has some of the nicest, least crowded beaches in the Carolinas. The white sands are perfect for sandcastles and sunset jogs alike. 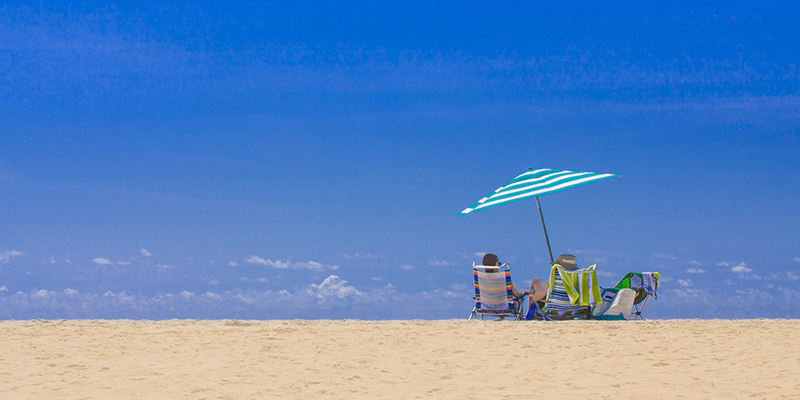 It’s not hard to find a spot just for you with 14 miles of beachfront. You have to visit the historic Frying Pan Shoals and hunt for sharks teeth on the other end, where the South and West beaches meet. 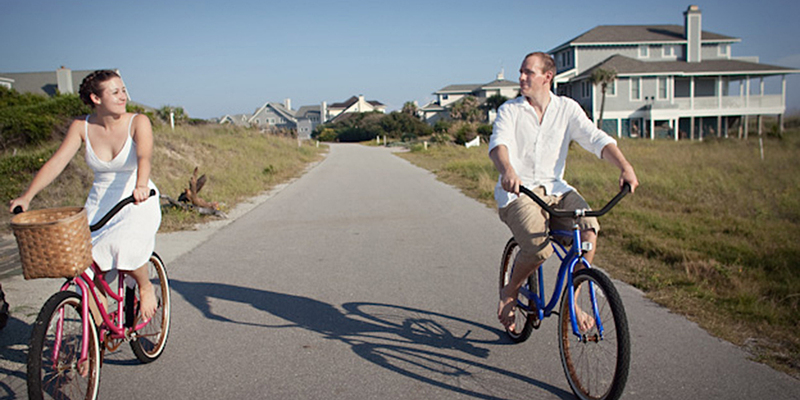 Bald Head offers seemingly endless winding paths to explore on a family bike ride. The overhanging live oaks and Spanish moss provide shade and scenery for your jaunt around the island. Coastal Urge and Riverside Adventure Company offer weekly, daily, and hourly rentals. Bring a surfboard or rent one from the Sail Shop. East Beach is the best spot on the island for surfing. Boogie boards are also available for rent. 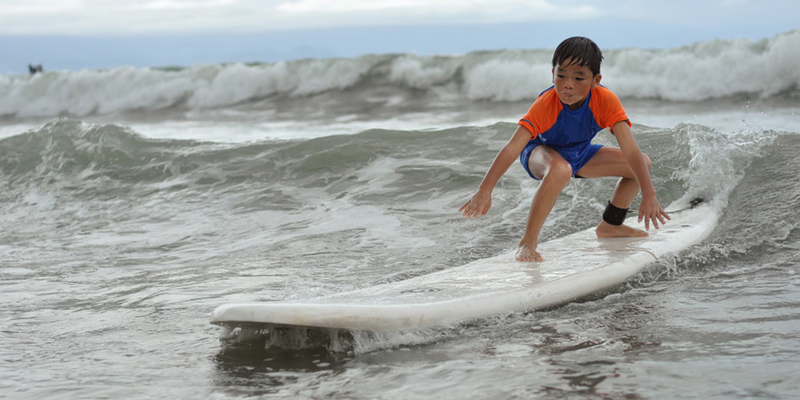 The Sail Shop’s Surf Camp offers group and private instruction. 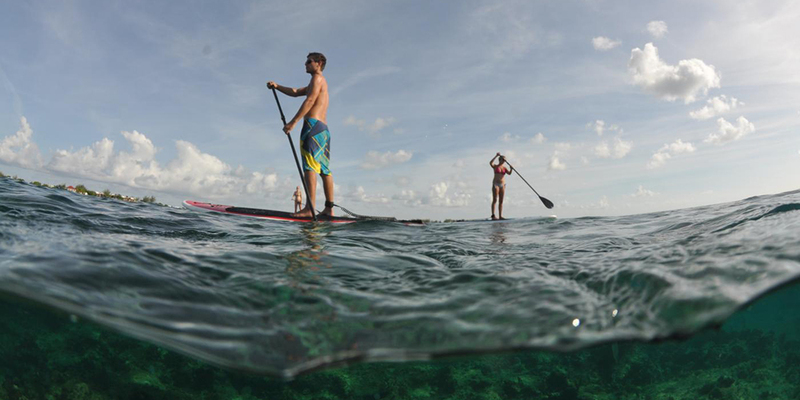 Paddleboarding is a new sport that’s gaining converts with every try. Paddlers use large boards, similar to a surfboard, and paddles to maneuver. It’s easy to get the hang of it, which makes paddleboarding attractive to all ages. You can rent one on the island from Coastal Urge! 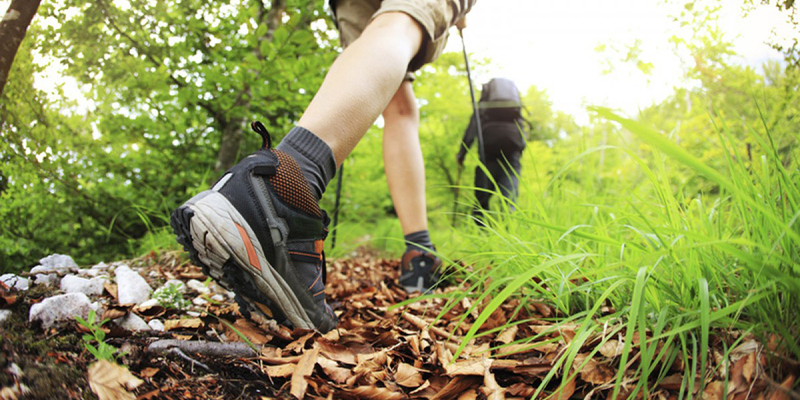 There are two scenic walks on the island. One, off of N bald Head Wynd, near the Maritime Market provide amazing views of the marsh. There’s a second trail through the Conservancy-protected Maritime Forest Preserve with trail heads in three locations along Federal Road. There are signs with information about the plants you’ll encounter. 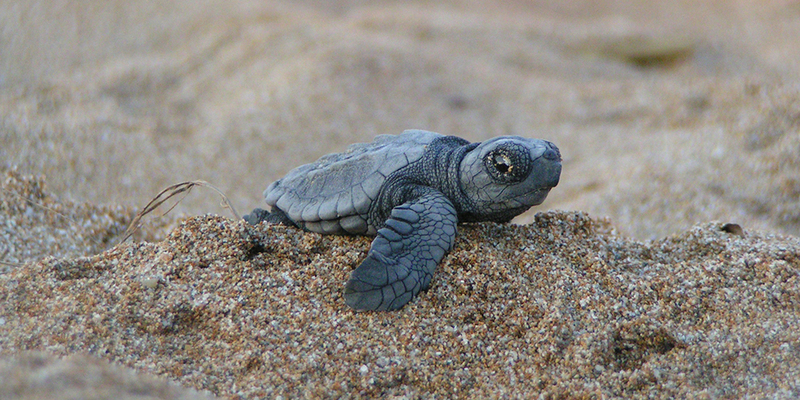 Bald Head Island is nationally recognized for its sea turtle nesting activity. The abundance of sea turtle nests have led visitors to use the phrase, “I’m on Turtle Time”, which represents the care free (and car free) feeling of being on Bald Head Island. The Bald Head Island Conservancy provides a Turtle Walk program with the chance to see baby sea turtles emerge from the nest. Bald Head Island is a great place to kayak, whether its for the first time or you’ve been coming for years. The creeks are a great place to fish and catch a glimpse of the native birds and a kayak is the best way to maneuver through the winding passages. The Sail Shop can give you tips on where to go, they run tours, and have kayaks for rent. Whether you want to learn to sail or think you could teach the instructors a thing or two, The Sail Shop has it all. 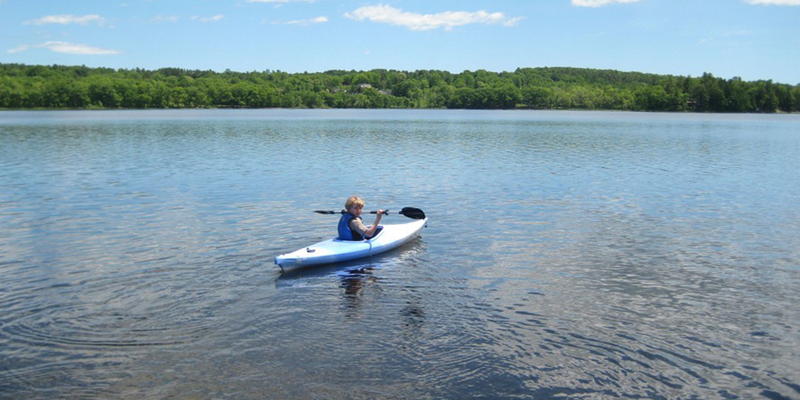 You can wind through the creeks, while learning to sail one of the smaller sailboats. 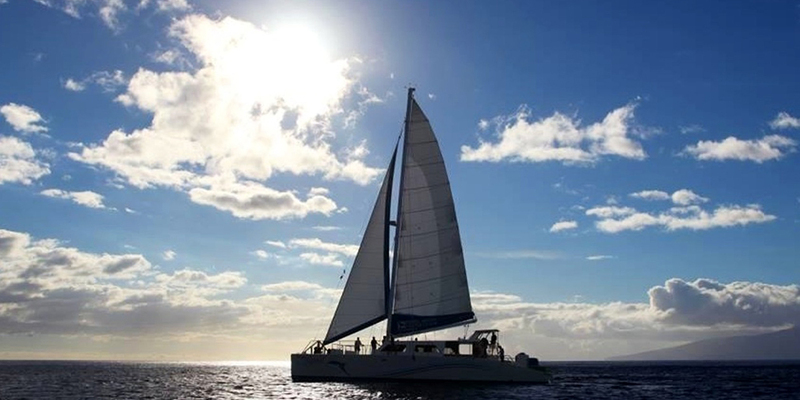 Or charter one of the large single-hull or catamarans and hit the ocean where you can take a leisurely cruise or receive your sailing certification. Here on Bald Head you’re likely to catch way more than one fish. 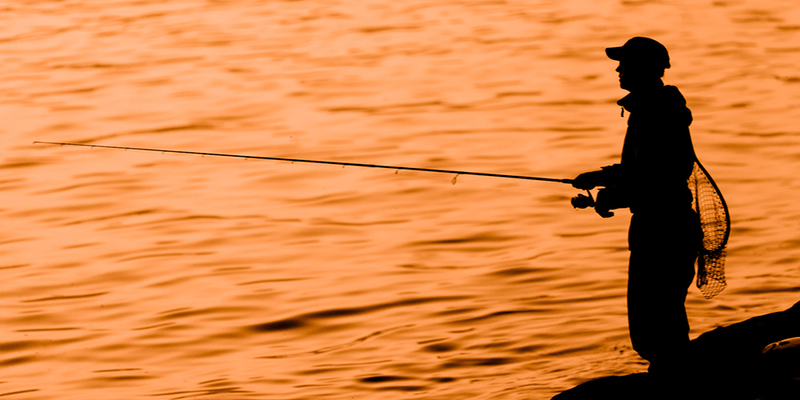 The creeks are a great place to catch a red drum or go crabbing. Or feel free to set up a beach chair and see what you’ll catch in the surf. You could even catch the big one if you go offshore a bit. The Bald Head Island Conservancy and the Sail Shop offer guidance and excursions, so you’ll be reeling in fish after fish and making memories doing it.